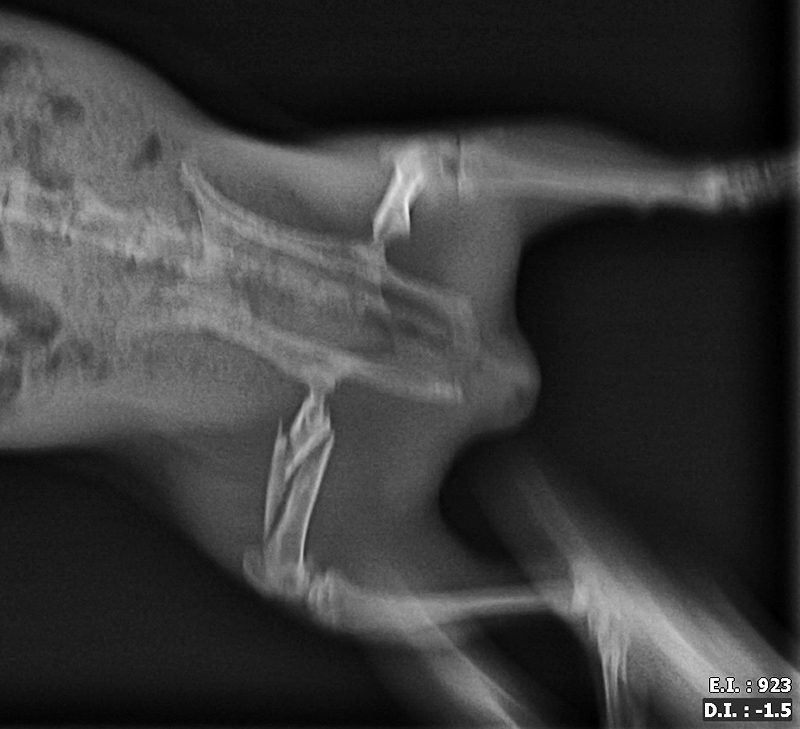 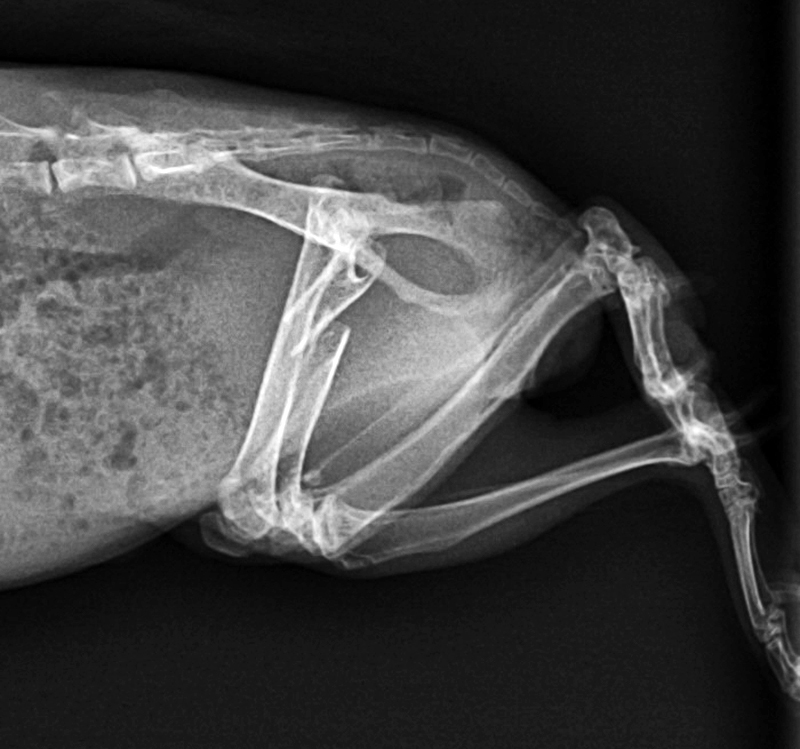 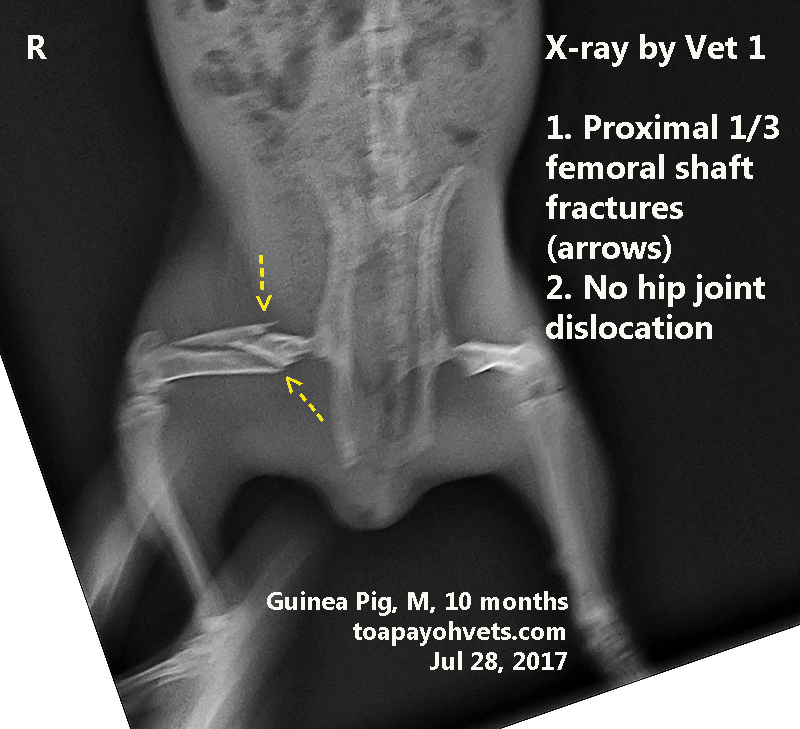 Above X-ray was done by Vet 1. 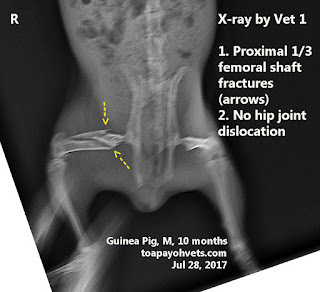 It appeared that the right hip joint was dislocated. 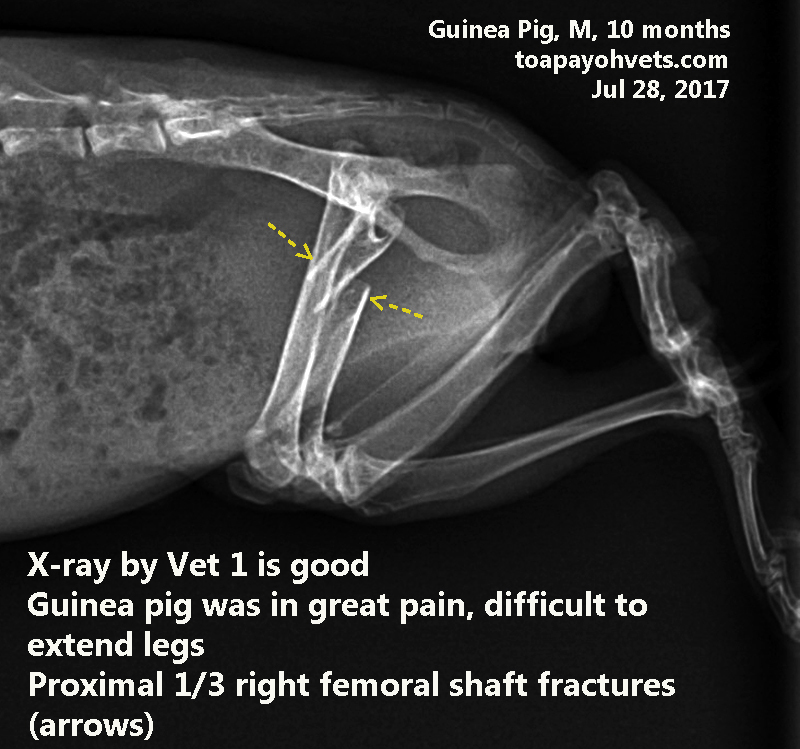 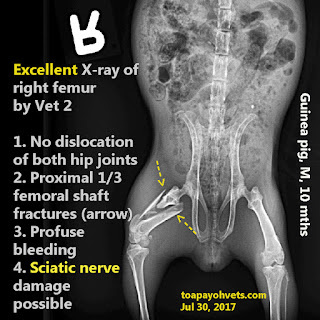 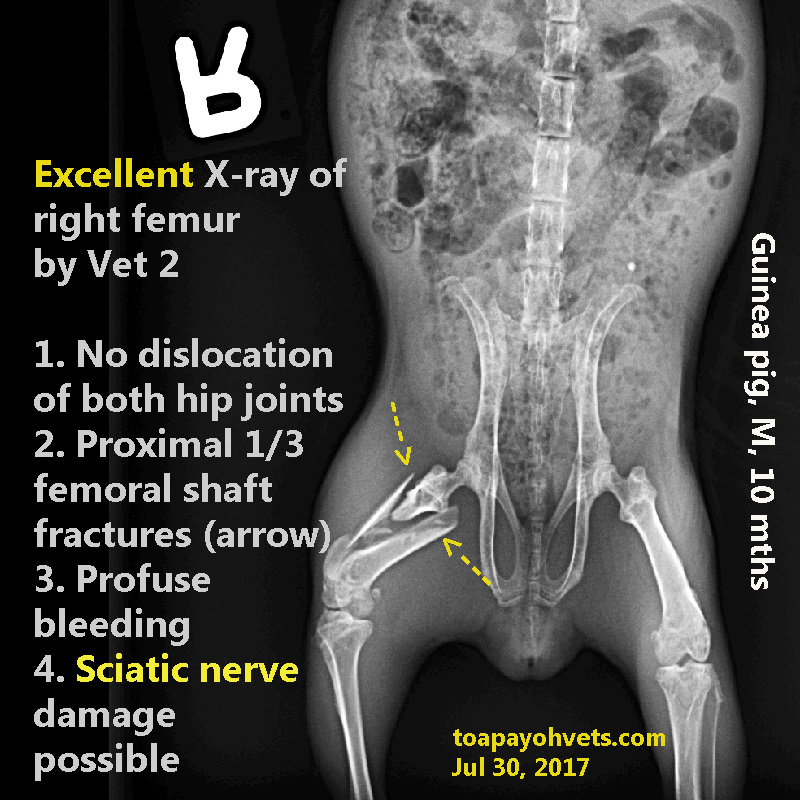 X-ray by Vet 2. Ventro-dorsal view only. 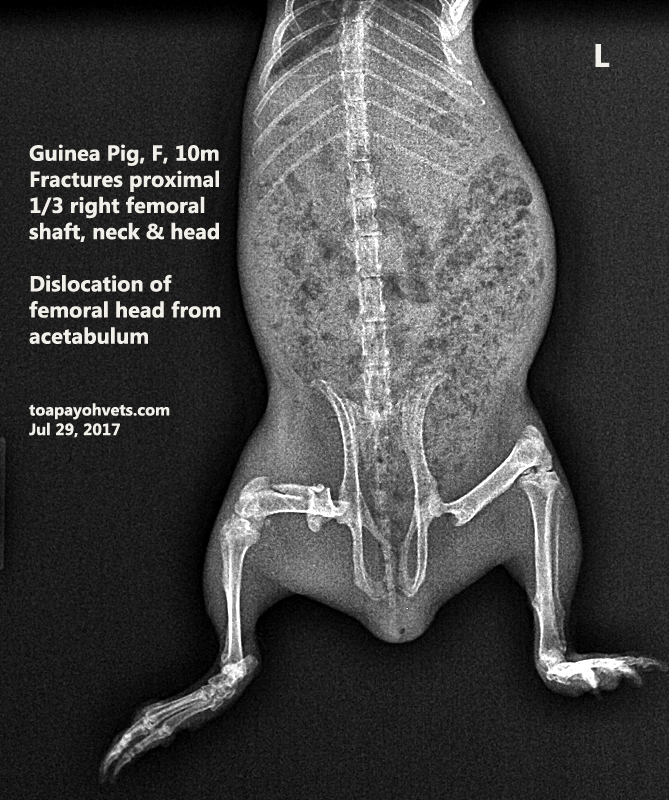 No lateral view was taken as the guinea pig was in pain.